1. Is there a community, for example on Facebook, in which we can exchange? Yes, on our Facebook account under events you will also find the conference. Here you can exchange ideas, do carpooling or discuss. Click HERE to get to the page. 2. How do I get to Damme? On the website of the youth hostel you will find directions how to get there. Click HERE to get directly to the page. For guests from abroad, our friend Silke Haubold has agreed with her travel agency to support us in your travel planning. Please always state Conference Damme 2018 as the subject when you contact her. Shuttle Service – During the conference, we also offer the service that you will be picked up from the airport in Münster / Osnabrück, or from train stations that are in the immediate vicinity such as Steinfeld, Neuenkirchen (Oldenburg) or Holdorf. 3. Can I still register as a lecturer for a lecture? You are welcome to apply for lectures during the conference with this FORM until the end of January, latest at the beginning of February. The conference will take place in the Youth Hostel Damme. Rooms are reserved for the special price of 32,50 € per person per night, exclusively for the guests of the conference, this price includes the full board for the day (breakfast, lunch, dinner, coffee breaks). Please note that only shared rooms are available. The bathrooms and toilets are located in front of the rooms in the hallways. A sink is available in each room. 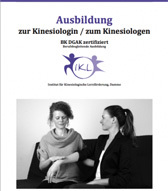 A room can only be booked through Julia Frison from the Institute of Kinesiology. The costs must be paid in advance to the Institute. At the Waldhotel zum Bergsee, the Faculty Meeting takes place before the conference. There, the Lecturers and Faculty Members are partially accommodated. As the Waldhotel has only 21 rooms, these are blocked for the Lecturers and Faculty Members. The booking request is also exclusively via the Instituteof Kinesiology, contact Julia Frison. However, the costs for the rooms will be paid directly at the hotel. Single room per night 59.00 € incl. breakfast. Double room per night 89.00 € incl. breakfast. We try to accommodate almost all guests at the hostel. However, if someone prefers a single room, he or she can book other hotels also, like the Monastery Damme. The booking and payment in other hotels must be organized individually. 5. What food is available at the Conference? If you stay at the youth hostel you have breakfast, lunch, dinner and coffee break included in the total price of 32,50 €. At the Waldhotel the room rate contains only the breakfast. If you are not sleeping at the hostel and you want to have lunch or dinner, please book it in advance, its not possible to book it onsite. 6. How do I pay the best? The cost of the conference and accommodation in the youth hostel should be paid upon receipt of the bill, at the latest before your arrival. You will receive entry and meal stamps for the paid services on site. You can transfer the amount to our account. We do not offer Paypal as we have to pay the fees up to 5% of the total amount für boarder payment. If you want to pay through paypal you need to edit approx. 5% to your invoice amount. 7. Where can I see the program / schedule of the Conference? The basic structure of the event is already set. The program is updated daily on our website under program. 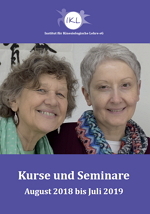 The various lectures should be fully featured on our website by the end of March. 8. Where does the Faculty Meeting take place? The Faculty Meeting will take place from 9 to 11 July 2018 at the Waldhotel zum Bergsee. The cost of the conference package is € 29.00 per person per day. The Foundation pays these costs exclusively to the International Faculty members, all other guests must settle these costs themselves on site. Please register via the Institute for the meeting AND your accommodations. If you have not yet registered for the Faculty Meeting, please contact Julia Frison. On Sunday evening, all who have already arrived will meet for a dinner at the Waldhotel. Please let us know if you will participate. Each participant pays themselves. 9. Who is my contact person for questions?